PMB-648 GPS BASIC Stamp 2p Demo Code. Polstar PMB-688 GPS Product Specification. Polstar NMEA Commands List Reference Manual. Understanding the Global Positioning System (GPS). The PMB-688 GPS features 20 parallel satellite-tracking channels for fast acquisition of NMEA0183 v2.2 data for robotics navigation, telemetry, or experimentation. There is a built-in patch antenna as well as a connection for an external one, rechargeable battery for memory and RTC backup, cable for power, and TTL connection. Built-in rechargeable battery for memory and RTC backup. 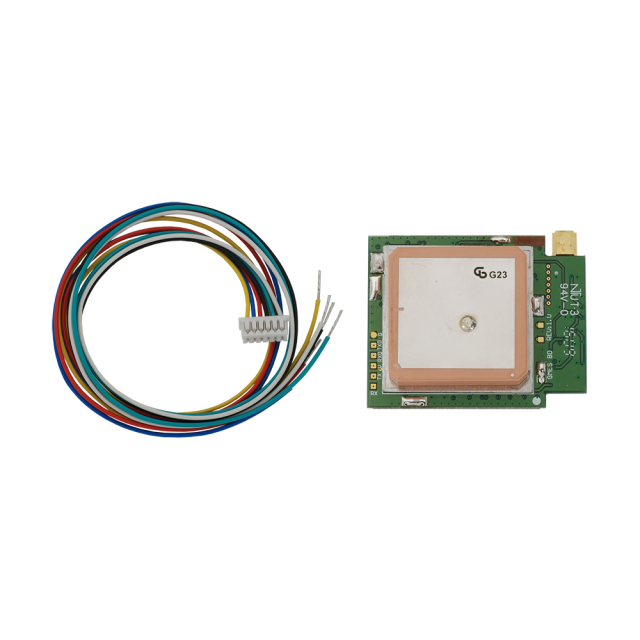 Supports NMEA0183 V2.2 data protocol. Includes cable for power, TTL. Low power consumption and ultra mini size only 33x39mm. Enhanced algorithms providing superior navigation performance in urban, canyon and foliage environments. Power requirements: 3.3 V - 5 V DC @ 65 mA. Communication: TTL asynchronous serial @ 4800 bps. Dimensions: 1.55 x 1.30 x .35 in (39 x 33 x 9 mm). Operating temp range: -4 to +158 °F (-20 to +70 °C).